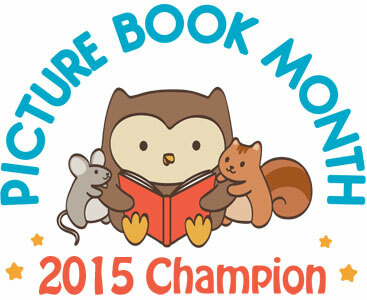 ← Thank you Collingswood Book Festival! I am thrilled to have Laurie Wallmark as my guest blogger today. Laurie and I met many moons ago at one of the NJ SCBWI conferences. In the interest of full disclosure, we are both represented by same incredible agent, Liza Fleissig, and we also have the wonderful connection of being fellow Creston Book authors. 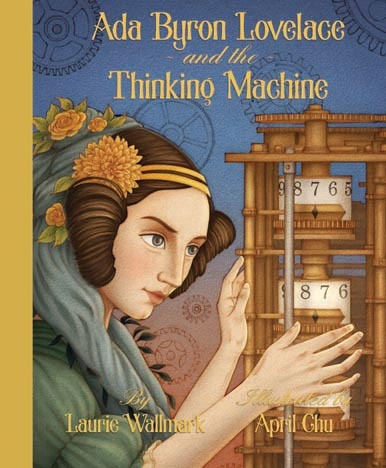 Laurie’s debut picture book, Ada Byron Lovelace and the Thinking Machine, illustrated by April Chu (Creston Books), releases on October 13, 2015, in conjunction with the celebration of Ada Lovelace Day. She was the world’s first computer programmer. Ada Byron Lovelace and the Thinking Machine is one of the most beautiful and inspiring books that I have read in a very long time. The illustrations will take your breath away. This is a book that will be cherished for generations to come. People often ask me why I choose to write biographies of strong women like Ada Byron Lovelace. Here are three events from my life that contributed to my interest in doing so. In grade school, I played the snare drum in the school orchestra. When it was time to graduate to junior high, I wasn’t allowed to continue with this instrument in school. I was told it wasn’t ladylike to play drums. Instead, I had to switch to playing bass fiddle, because, as we all know, that’s a much more feminine instrument—not! Of course, when the orchestra needed an additional percussionist, they didn’t seem to mind I was a girl. In seventh grade, boys and girls had no choice in the classes they took for electives. Boys took wood shop, auto mechanics, metal working, and mechanical drawing. Girls took sewing, cooking, and art. In eighth grade, since I was interested in architecture, I signed up for intermediate mechanical drawing. The administration wouldn’t let me, since I hadn’t taken mechanical drawing in seventh grade. Luckily for me, I had parents who fought for their children, even their daughters. Because of them, I was able to take mechanical and then, in ninth grade, architectural drawing. Of course, I was the only girl in either of these classes. Even though I went to school years ago, back when dinosaurs roamed the earth, many girls still experiences these types of prejudices in their schooling. This is one of the reasons that fewer than 15% of computer scientists are women. I want girls (and boys!) to read my books and realize they can follow their dreams, no matter where they lead. Join Laurie as she travels from blog to blog to introduce her debut picture book, Ada Byron Lovelace and the Thinking Machine. All stops are listed at: http://lauriewallmark.com/blogtour.php. I’m looking forward to reading this Laurie! Great post. Glad times have changed for all students – regardless of gender – to study what most interests them. At least in most (or some?) areas. I was fairly appalled to read a Facebook post from a friend that her child was only offered science as an elective in 4th grade. Yikes! Can you imagine choosing only ONE option from science, music, art or a foreign language? And all four of these electives are so important for children. Great post! Looking forward to getting this book! Leslie, Your students will love it! Great post, Laurie and Robin. I’m looking forward to my copy arriving soon. Thanks, Kaye! You’ll love the book. I must agree with you, Laura. I ran into those same problems when I was in elementary school. My mom always fought for me, too. I have your book for review and will be reading it soon.